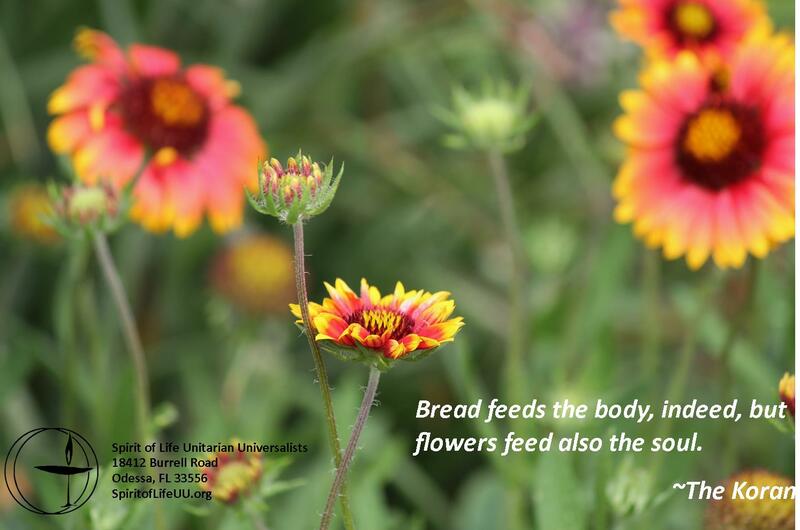 Long time Spirit of Life UU member, LeAnn Kahl takes us on a celebration of spring, with our Flower Ceremony at 11 am. The Flower ceremony celebrates the beauty and diversity of our members just as each of the morning’s flowers are beautiful yet not alike. Bring a flower to service and get back so much more. This is also our 3rd Sunday Potluck – bring a dish to share or just grab a dish and join in! All are welcome!